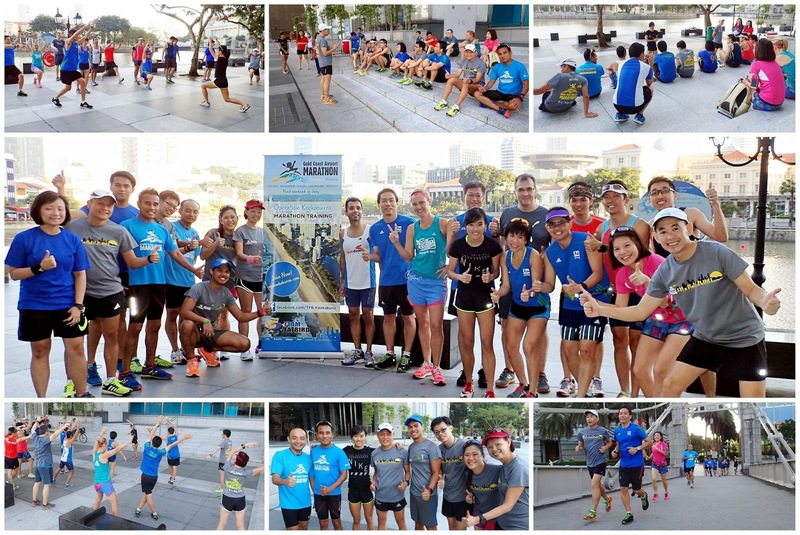 It was a nice morning down at FatBird Statue, Raffles Place where a select group of Gold Coast Airport Marathon (GCAM)-bound marathoners gathered for a information workshop on the training and preparations for the all important race on 4-5 July, 2015. 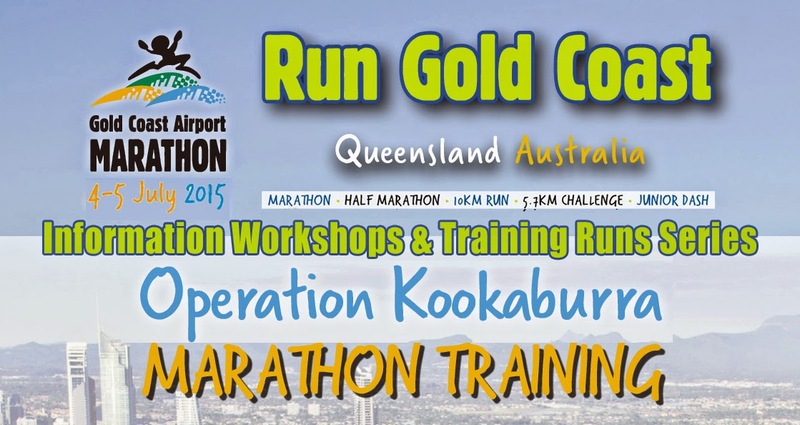 A good mix of new marathoners and experienced GCAM runners came for insights of what to expect in the forthcoming Ops Kookaburra Marathon Training as well as the Run Gold Coast special travel package. 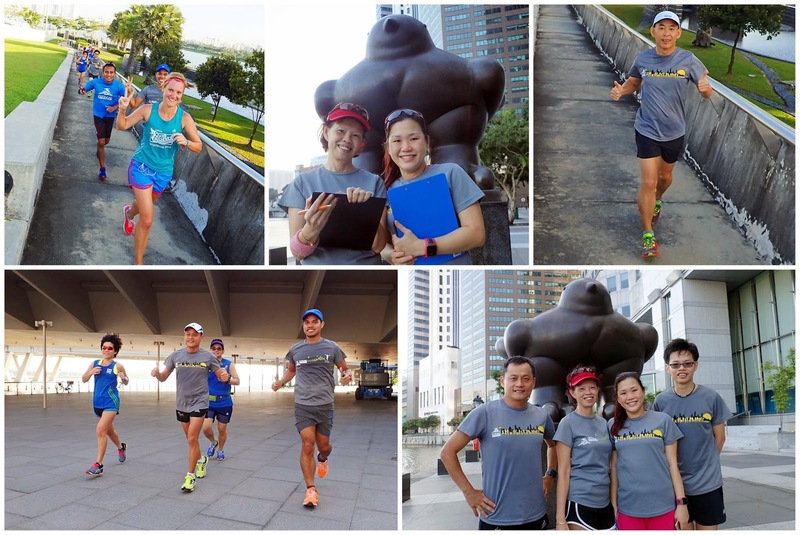 Singapore's favorite female marathoner, Ms. Mok Ying Rong was on hand to take the participants through a series of warm up drills to prepare them for the 8km scenic run around the Riverside along Gardens By The Bay and onto the Marina Barrage. 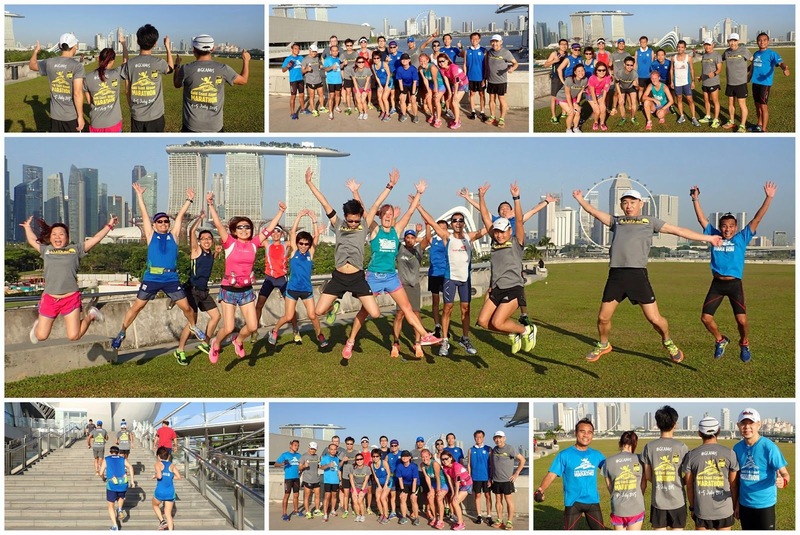 There were lots of questions and interaction between the workshop participants and Team FatBird trainers with respect to training highlights and areas in which to improve for that marathon Personal Best at GCAM. The workshop participants were also excited with the prospects of scoring their Personal Bests at GCAM which they have heard so much about. The cool-weather, scenic and flat race route as well as the good organization and motivating crowd support has made the GCAM one of the best races near to home for a PB and many of the faster runners have Boston-Qualify (BQ) here too. The run finished at 9am with a debrief and answering more queries on GCAM itself. The participants were looking forward to starting training in April and will be preparing themselves for the lead-up run on Feb 14. 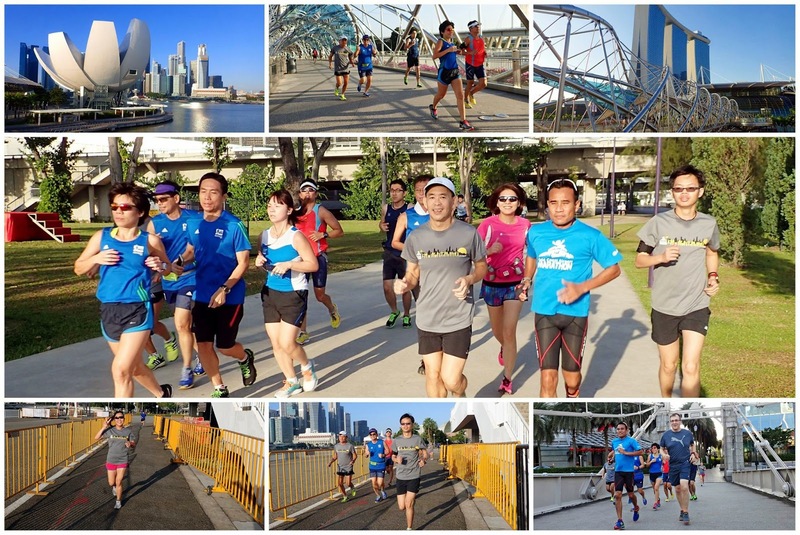 We hope more can join us at the next pre-ops lead-up run where we have experienced runners to share their golden experiences from GCAM. Register for the next workshop/lead-up run on Feb 14 HERE!